When it comes to nightlife in Northwest Indiana, fun is spelled with three letters: T.O.M. Yes, I realize that put together it spells Tom. What I mean to say is, "if you&apos;re looking for a night on the town, make sure the Tomfoolery Fun Club finds its way into your plans!" What exactly is the Tomfoolery Fun Club? 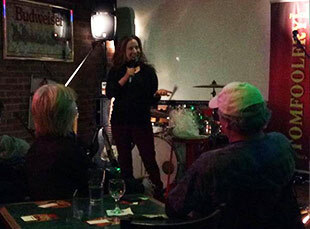 The show is a combination of music and comedy. Music kicks off the show and in between sets you&apos;re given some of the world&apos;s finest comedy from the biggest names on the Chicago comedy scene. What could be better? Maybe if it were close to home at places you love to go to? That is exactly where the shows take place; right inside your favorite region nightlife spots. The #FunClub kicks off every show with live music. The show I went to was at Cheers Food and Drink in Munster, and we were lucky enough to hear some jams from the group, Nick Danger. The group put together a mix that was a little bit country, a little bit rock and roll and all tied together with some Mick Jagger. What&apos;s great about the music is the band or artist will play several songs before welcoming the first comedy act for the night. 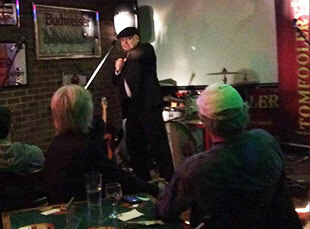 Between the comedy sets, the band is welcomed back to the stage by host Tom Byelick. The show creates a natural rhythm of music and comedy because the two art forms continually switch back and forth. Chat away, socialize, grab a drink and enjoy the music! Typically, each #FunClub show will have a different music group leading the way during the show. Byelick supports the local scene by giving these entertainers the opportunity to show us what they&apos;ve got. Top-notch music from a top-notch show has a little something for everyone&apos;s ears. When I say they&apos;re funny, it&apos;s not an understatement. What we&apos;re given at the #FunClub are the premiers from America&apos;s funniest city. Byelick is pulling in the best talent and bringing funny to the region. Stand-up isn&apos;t the only feature coming to us either. Some of the best improv and sketch groups are being invited to future shows for the ultimate blend of entertainment. Troupes trained by Second City, iO and Annoyance will be coming soon to a scene near you! Comedy in its purest form all coming together for the #FunClub. The #FunClub is something you do not want to miss. Shows are selling out for Byelick, which is good news because he has been booking shows for a fun-filled summer! 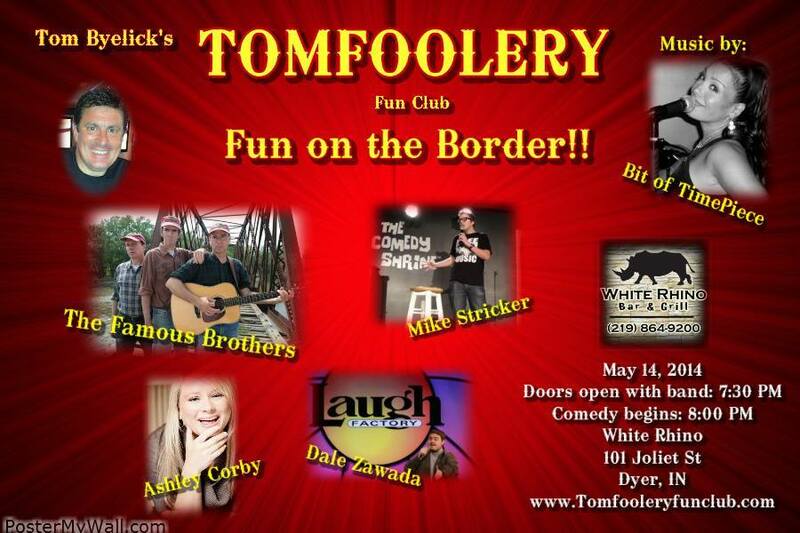 The Tomfoolery Fun Club is coming to White Rhino Bar and Grill on May 14 and is featuring music by Bit of Time Piece with some stellar stand-up from Mike Stricker and Dale Zawada. Did I mention the comedy music group, The Famous Brothers, will be playing, too? 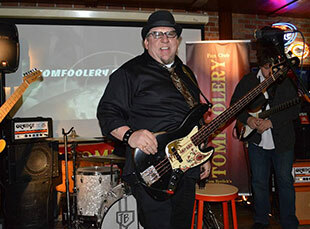 For more information on the #FunClub, follow them on Facebook by looking for the Tomfoolery Fun Club. When music and laughter collide, you&apos;ll hear a song in your heart with a happy pain in your side!